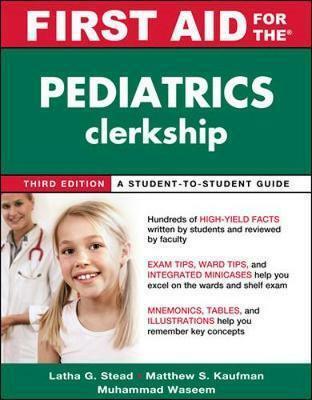 This powerful review for the pediatrics clerkship provides medical students taking required rotations with a single, concise, high-yield resource for excelling on the boards and wards. 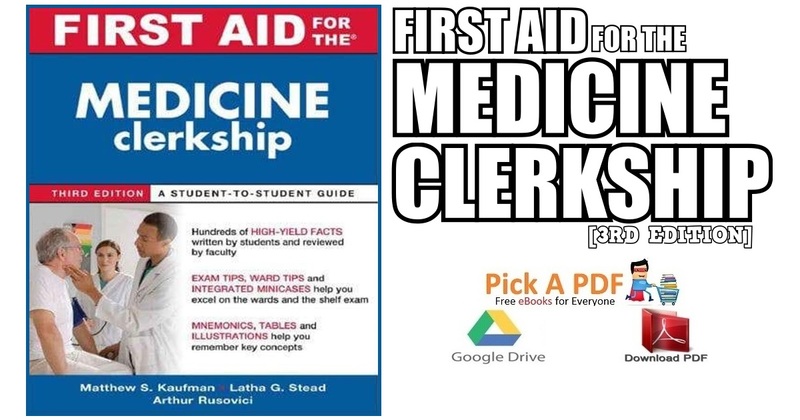 Hundreds of high-yield facts–written by students and based on the clerkship’s core competencies–review everything students need to know for the clerkship. Margin notes highlight common exam and “pimp” questions to really help students shine. New to this edition, mini-cases are integrated throughout to give a clinical “face” to disease discussions. A section of “classifieds” include scholarship and award opportunities. A new color insert contains 4 pages of full color images to amplify the text. In this blog post, you will be able to download free PDF e-book copy of First Aid for the Pediatrics Clerkship 3rd Edition PDF. 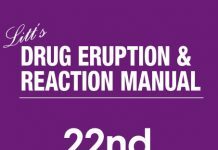 Volume Editor: Muhammad Waseem, MD is Associate Professor, Emergency Medicine (Clinical Pediatrics) at the Weill Medical College of Cornell University in New York. Latha G. Stead, MD, MS, FACEP is Chief, Division of Clinical Research and Professor of Emergency Medicine at the University of Florida College of Medicine at Gainesville. 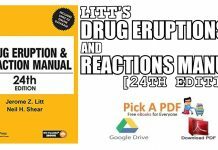 She is also Adjunct Professor of Emergency Medicine at Mayo Clinic College of Medicine (Rochester, MN) and serves as Editor-in-Chief of International Journal of Emergency Medicine. 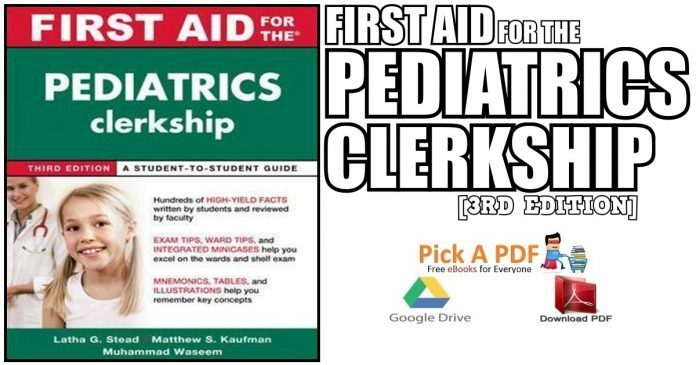 Below are the technical specifications of First Aid for the Pediatrics Clerkship 3rd Edition PDF.